4.3" Touch Screen HMI PLC device with 2 RS-485 ports, USB, Real Time Clock, flange mount. 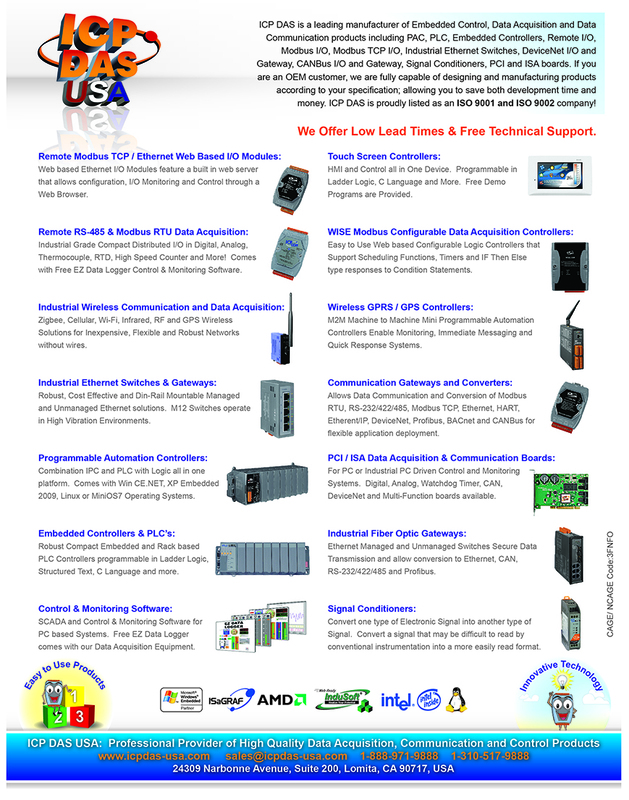 Comes with Free HMIWorks C Language and Ladder Logic Programming and GUI Development Environment. Supports operating temperatures between -20 ~ +50°C (-4F ~ 122F). 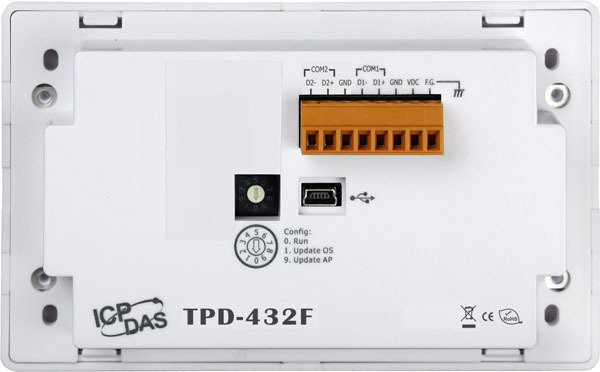 The TPD-432F TouchPAD is a tiny touch HMI and is designed for building and home automation. 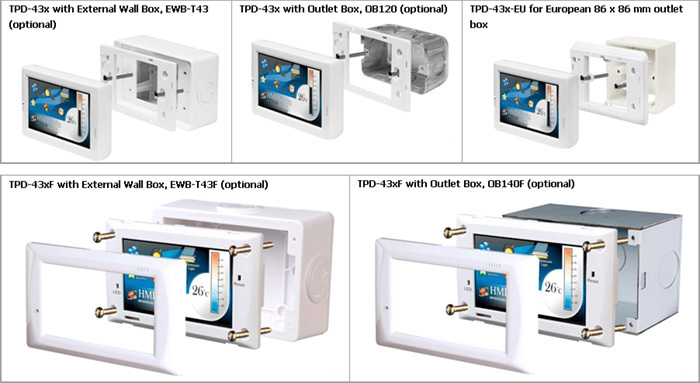 TPD-432F is equipped with high resolution TFT color touch screen and can be used to replace regular electrical wall-mount outlets. It is seamlessly integrated with rich I/O modules and presents a beautiful, flexible, and user-defined picture frame. In short, it is the best choice to upgrade a mechanical switch to intelligent control pads. For PLC users, HMIWorks provides Ladder Designer, and for IT users, C language environment is provided. It takes no more than 30 minutes to learn how to create an application program of TPD-series devices when using Ladder Designer. It supports Modbus TCP/RTU protocols so that it enables remote control of I/O modules and integration with SCADA software. 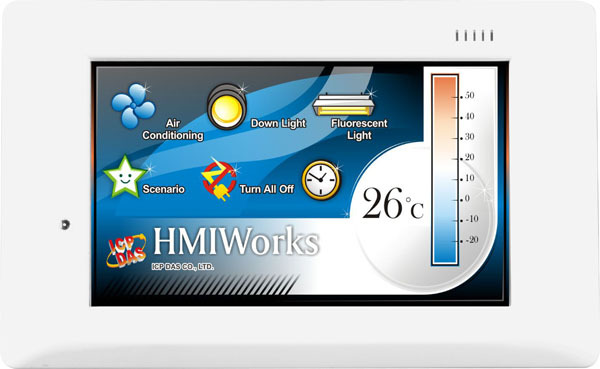 With all the features provided, TPD-series touch HMI Devices must be the most cost effective HMI Device in the market. Can be used with external wall box EWB-T43F for easy mounting.